Given that there are no 100% rules in photography or in art or in life, you can of course do anything you like, and as long as the image is good to pass Alamy QC, you can submit. But I wouldn't put a shot that would work better in color, like yours, in a stock agency collection. There are a number of fine-art print agencies you might try: Fine Art America and Artflakes are two I've used. My first six or seven years of shooting professionally were all B&W. For sometime now I've only shot color; key wording and post have replaced darkroom work. I learned printing from a guy who was a student of W. Eugene Smith. It's not logical I know, but there's something sacrilegious for me in shooting digital B&W. As far as the subject and not having model releases go (how could you for this scene?) just select RM and know that it can be sold as editorial without the releases. If I post an opinion and David K posts a different opinion, you all would probably be better off paying attention to David. It's a inclusive OR, Ed. Put up both. If David says something different, you're not wrong, he's just slightly righter. I may be wrong but I understood that we do not need to load B&W images as the user will convert from colour (color) if it is needed. That makes sense, Allan, but read what David says in his 30 points. I have some older B&W pics that I might want to submit . . . if I ever can get myself to setup for scanning again. True - but then seeing in B&W is not easy for everyone and an ability to do that might sell a picture - when appropriate. Julie Edwards posted a B&W photo of the ice-rink at Somerset House recently. Compare it to the colour version. Personally, I think the B&W really stands out and is much stronger as an image. This might especially be the case when it sits among 000's of other winter pictures. I have never submitted any B&W here, but it is certainly something I may well consider. EDIT: there is also the quality of the darkroom/lightroom skills involved. If you are good with the software and have a feeling for creating a good image in PP, then the B&W conversion you do may well be far better than an end user's half-hearted or rushed efforts. I agree with JG; street photography per se no; street photography that makes a point that a buyer might want to make yes however even some of my "street" has sold and I never head or pay attention to rules, unwritten or otherwise. Sometime the black and white version works better than the colour version....and I doubt a buyer will make the black and white conversion exactly as you would have done. Thank you for the kind comment. The mono image is much my prefered version. Im still working out wether this kind of image is worth uploading as stock, really i should also consider a number of the "art print" websites but i am very concered about losing control of the final product (printing) or that it may weaken the future posibility of me creating limited edition runs of other images (im not sure my work will ever stand limited editions however much i like the idea). (Fyi, for mono i use silver efex pro, reduced the time it takes me to produce a mono convesion hugely)..
Sale to UK 'heavy' newspaper to illustrate article on French berets (though my caption clearly indicates this man is a cleric and actually that's not a typical French beret...) - you might think they would have gone for a striped jersey onion seller or some other stereotype, but this style fits the aesthetic of the newspaper - it was a colour digital file but just looked more 'reportage' in b/w. And it's a typical street photo, subject unaware, certainly no questions asked or releases sought. I shoot, and sell, plenty of street pictures and good subjects include people reading maps or looking at signs and notices, boarding transport like buses, queuing for things, paying for things, carrying shopping, hailing taxi, sheltering from weather, talking, negotiating crossings, using steps, eating or drinking outdoors, busking or performing, taking photographs, listening to tour guides, doing business, talking, promenading (Sunday best), in school uniform or as school groups, in local dress, with pets, down and out or begging (I don't do this subject now), at fairs, at markets, in snow, at night, theatre entrances, behaving badly (drunk etc - again I don't do this), with fountains or statues, with bicycles, disabled and elderly in context, babies strollers etc, seasonal dress, families out, leafletters, cleaners and workmen, police, traffic. Which omits couples and people together, kissing, greeting etc. I'm very wary of this although it's potentially a big seller. You just don't know the circumstances and both your own caption and keywords, or the caption or context used editorially, could be defamatory or damaging (example - brother and sister, father and daughter mis-used as couple; couple with children presented as family when actually they are not related to the kids they are with at all; couples having an affair; people with no connection who for some reason appear to be interacting). Good example, in Tenerife last month we saw two attractive young women a young guy, all three with baby strollers. They looked like or could have been good-looking young parents in a luxury location (E5m villas etc). When two stopped to talk, and then they walked the babies up and down the same stretch, it was clear they were actually babysitters. They might have been Ukrainian or Russian (not Spanish) but whatever the case, not 'anonymous' and quite capable of learning about any use of a grabbed picture. We didn't even consider it. This was just a situation we could spot. There must be other situations we might not recognise and might shoot. Therefore, caption and keyword such images with GREAT caution - even your hidden keywords. One day you could have a court order issued asking for that information and if you've used 'emotion' Getty-type keywords to label unreleased street shots, or even used some of the Getty-type classifications to describe types of people, I believe you run a small risk of great financial damage. 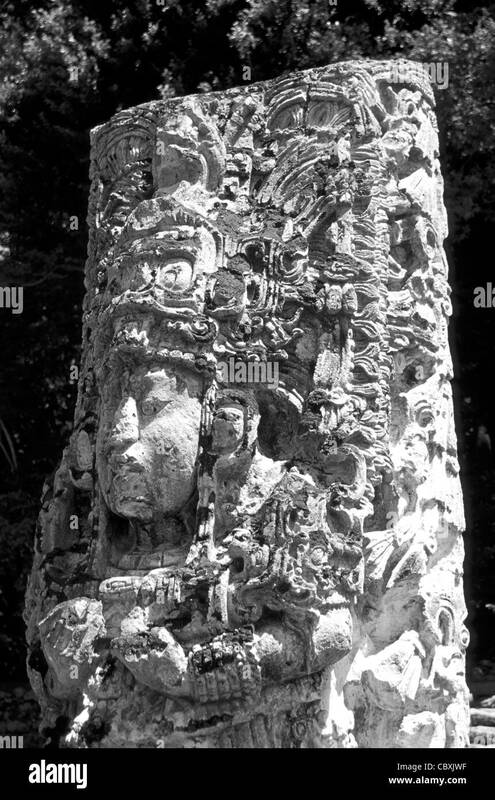 I've never leased any b&w on Alamy, but someone bought a large, framed print of this image on Fine Art America. It obviously isn't street photography (sorry). I used an "infrared" effect when doing the conversion from colour. Have managed to sell several other b&w prints on FAA. This doesn't bode well for traditional street photography, sad to say. However, it sounds like good advice. We now live in a very litigious society. I know someone who wanted to sue a local newspaper because her teenage daughter appeared in a casual street photo. I doubt very much that it would have gone anywhere, but situations like this show how sensitive people can be these days. I'm thinking that I should spend some time reexamining some of my keywords.